Find out the best practices in customer data analytics employed by top-performing companies, and get advice on effectively leveraging analytics for improved customer experience and the bottom line. will learn about the best practices in customer data analytics employed by top-performing companies, and get advice on effectively leveraging analytics for improved customer experience and the bottom line. Readers will also find some customer data analytics predictions and learn why managing customer data will grow in popularity and importance over the coming years. Companies are challenged in a number of areas in effective utilization of customer data analytics. However, a few capabilities and best practices stand out among the top-performing companies. It was not surprising to find that top performers are more mature in their use of customer data analytics techniques when leveraging customer information. Understandably, these organizations have an easier time securing both budget and organizational buy-in as a result of the tangible business case justification and return on investment metrics they provide to executive sponsors. Companies less mature in their use of customer data analytics lack the critical expertise necessary to establish and measure meaningful performance metrics. These organizations tend to take a “throw the spaghetti at the wall and see what sticks” approach in their development of customer interaction practices. Interestingly, this deficit in expertise does not seem to affect their ability to secure budget. It merely has a negative on the overall bottom line. In today’s highly competitive global economy, knowledge of consumer and business behavior, socio-economic, lifestyle and/or demographic information, should be transformed into actionable insight. It is this insight that provides ammunition to companies that seek to gain a competitive edge. Every customer interaction offers an opportunity to influence purchasing decisions that affect profitability. With customer expectations for personalization and relevance (why should I care?) higher than ever, companies need to have that “single view of the customer” available to them at every touch-point. Conversely, customers want self-service data such as in-stock levels, ship dates, and customization in product ordering available to them 24/7. Hypatia’s crystal ball reveals the following customer analytics best practice predictions for 2010 and beyond. 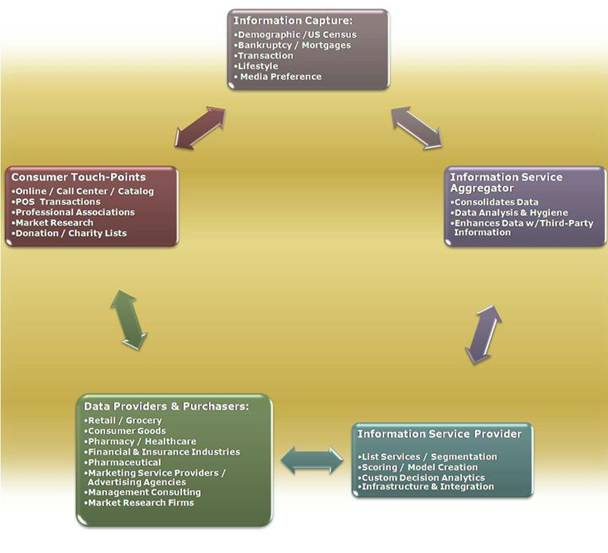 * Profitable customer interactions will result from organizations appropriately responding to consumers of their goods and services. This means knowing which interactions, channels, brands, products, messages, pricing, and promotions influence your customers’ purchasing behavior. * Content will drive customer interactions across all media channels and touch-points. Savvy marketers will develop business rules, algorithms and dynamic analytics to optimize communications. This may include customer profiling, segmentation, predictive and cluster modeling techniques. * True customer-centricity may actually become a reality for organizations that invest in delivering a seamless customer experience and brand throughout every distribution or customer interaction channel. * Use of customer analytics will gain importance as companies leverage their legacy information and BI infrastructures to support a return on investment-driven culture. Scores of companies offer analytical tools, platforms and services, but major players continue to serve midmarket to larger enterprises primarily. This is more than a mere academic exercise! Between 35% and 55% of companies employ best practices -- and, as a result, realize a solid return on their investments in customer data analytics. Consumer, or B2C, sectors are vastly different from B2B industries in their use of customer data analytics. For example, grocery, retail, consumer banking, telecommunications providers and consumer goods companies seek to track and analyze “market basket” and/or “attachment” rates. Knowing the frequency, store location, total dollar value and assortment of products purchased for each store trip is of great interest to these companies. Merchandising executives consider market basket analysis a key performance metric and use it extensively for everything, including planning store layouts, advertising and trade promotion campaigns. Conversely, attachment rates are tracked in order to understand customer buying patterns by lead products. This information is used for pricing and promotional decisions. * Customers who buy high-definition television sets also order installation services and/or longer warranties. * Women always purchase matching shoes when they buy dresses priced over $250. * Customers who buy computer equipment more often select peripheral items such as mouse, storage capacity, and printer ink at the same time. * Men purchase baby food, diapers, and newspapers with beer at super grocery stores. Customer data analytics in B2B industries differ drastically from B2C because in a supply chain, customers may well be suppliers and partners as well as customers. For example, business partners such as Owens Corning or other commercial/residential contractor services both purchase products from, and sell products to, Home Depot. Moreover, credit history, incorporation documents, and business transactions between partners, suppliers and customers is taxable and, thus, traceable. Many of the information analysis and services providers also rely on subscriptions to professional and industry-specific publications, online business purchases (example: office furniture or computers purchased on corporate accounts), legal filings or complaints to reporting agencies such as the Better Business Bureau. Leslie Ament, research vice president and co-founder of Hypatia Research, LLC, is a customer intelligence management thought-leader and industry analyst who focuses on how organizations capture, manage, analyze and apply actionable customer insight to improve customer management techniques, reduce operating expenses, and accelerate corporate growth. Her research coverage includes: business intelligence, media intelligence/search/text analytics, CRM, Web analytics, marketing automation and customer data management/data quality. Previously, Ament served on management teams and led global marketing and market research groups at Demantra, Inc. (acquired by Oracle), Arthur D. Little Management Consulting, Harte-Hanks, Banta Corporation, International Thomson Publishing (Chapman & Hall, U.K.) and Carnegie Hall, Inc. She is a member of the American Marketing Association, Society for Competitive Intelligence Professionals, Customer Relationship Management Association, DataShaping Certified Analytic Professional, Arthur D. Little Alumni Association, Software Industry Information Association and a board member of the Product Management Association. Ament completed her doctorate Phi Kappa Phi at the University of Illinois, Urbana Champaign and her master's and bachelor's degrees at Indiana University-Bloomington.